Batman, as you've never seen him before, as a rubber duck! 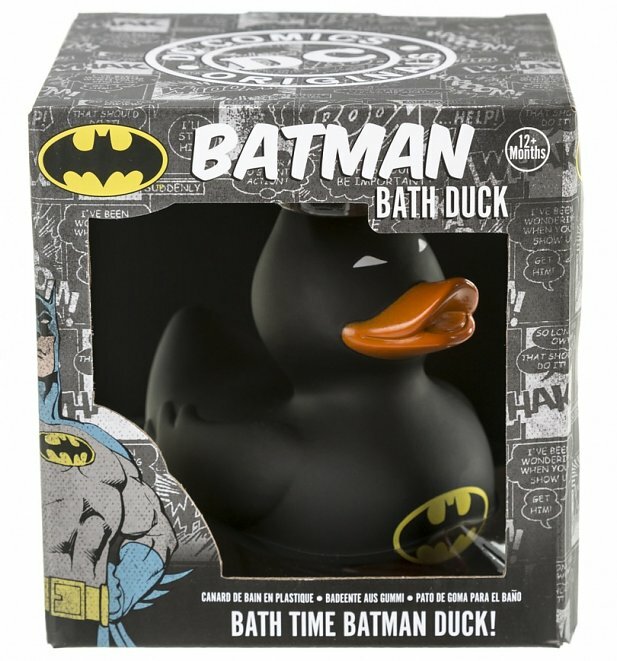 Add some fun to bath-time, with this official DC Comics bath toy/accessory! 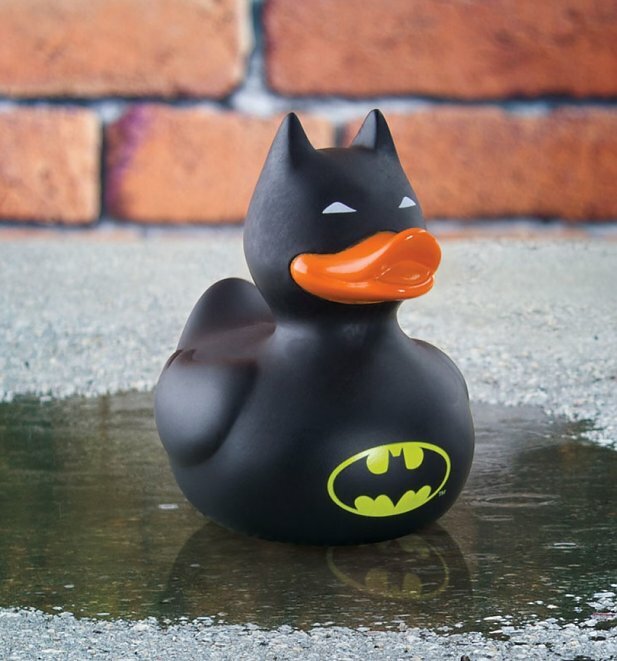 - Super fun gift idea! Review: T-shirt arrived promptly. Good quality bur too small. 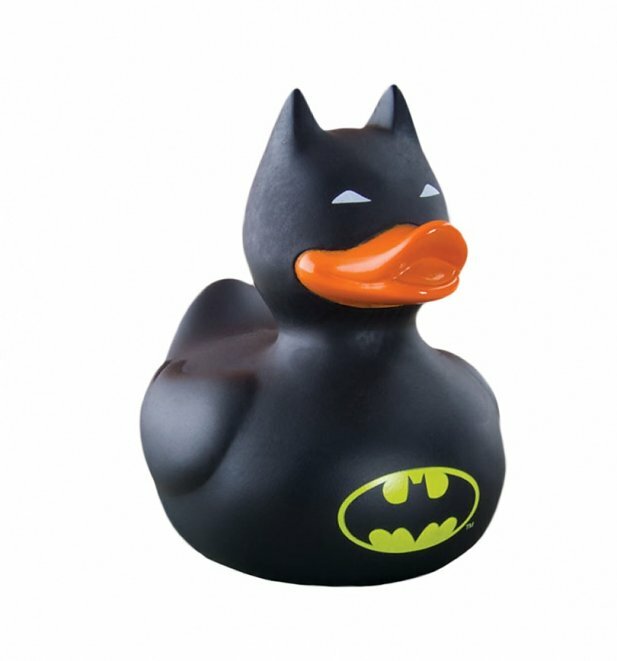 Sent it back for larger size, which was dispatched the following day. By far the best and easiest return service I have used and no hassel at all. Well done. Will recommend and use again. 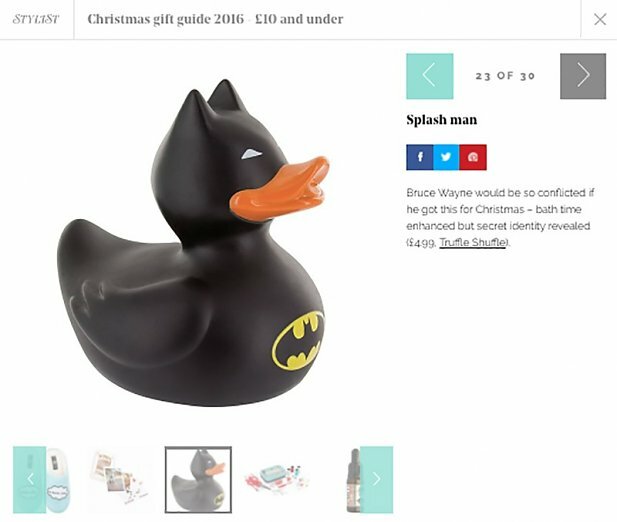 17684DC Comics Batman Bath Duckhttps://www.truffleshuffle.co.uk/product_images/TS_DC_Comics_Batman_Bath_Duck_4_99_Lifestyle_1.jpg5.99GBPInStockGBP/mens/women/movies/toys-games/cartoons/superheroes-and-villains/superheroes-and-villains/batman/superhero-gifts/superheroes/black-charcoal/superheroes-and-villains/justice-league/dc-comics/toys-games/bath-toys/toys-games/novelty-toys/in-the-press5.9900What the duck!